SAN CLEMENTE, Calif. — SURFER Magazine is proud to announce Hawai’i SEED as the 2013 SURFER Poll Agent of Change award recipient and beneficiary of VIP table sales. The prestigious award will be presented on Dec. 6, 2013 at the 43rd annual event honoring surfing’s best athletes, films, and performances of the year. Fans can watch the show via webcast at Surferpoll.com, when it airs live from Turtle Bay Resort on the North Shore of O’ahu during the Vans Triple Crown of Surfing. Each year, the Agent of Change award recognizes an individual or organization making a difference in the surfing community. Hawai’i SEED is the recipient of the sixth inaugural award with predecessors including Jack Shimko and Paddle2Live (2012), Operation Amped (2011), the Mauli Ola Foundation (2010), Dr. Dave Jenkins for his work with SurfAid International (2009), and Dave Rastovich for Surfers for Cetaceans (2008). 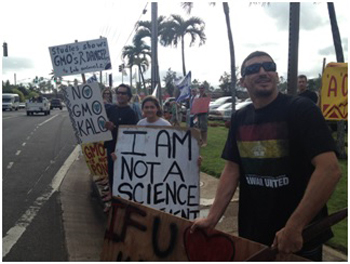 Hawai‘i SEED is a non-profit organization and coalition of grassroots groups, farmers, activists, and communities from five islands working to educate the public about the risks posed by genetically engineered organisms (GMOs) and to promote diverse, local, healthy, and ecologically sound food and farming. Hawai’i SEED works in conjunction with outer-island organizations and plans to use this donation to further the work being done by ‘Ohana ’O Kaua’i, a group of local residents committed to activating community involvement and dedicated to restoring the voice of the people to preserve and protect Kaua’i’s environment. Voting for the 2013 SURFER Poll is still live through Nov. 1, 2013 at Surferpoll.com or by using the voting widget at Surfermag.com. The 43rd annual SURFER Poll Awards will take place Dec. 6, 2013, at the Turtle Bay Resort on the North Shore of O’ahu, Hawai’I, during the Vans Triple Crown of Surfing. Attendance is by invitation only, but the event will stream live to the world at Surferpoll.com beginning at 7 pm HST (9 pm PST, 12 am EST). Working media are invited to attend and cover the event. To request attendance, please fill out the credential request form here. Special thanks to SURFER Magazine partners FIAT, GoPro, House of Marley, KRU Vodka, Leatherman, Martin Guitars, Red Bull and Turtle Bay Resort for helping to bring the biggest night in surfing to life. Source Interlink Media’s GrindMedia is the world’s largest action/adventure/outdoor media company, with 29 leading media assets featuring brands such as GrindTV.com, SURFER, SURFING, TransWorld SKATEboarding, Bike, POWDER, TransWorld Motocross, Snowboarder, Canoe & Kayak and more. GrindMedia reaches more than 40 million engaged consumers every month through its print, online, mobile, TV/video and events. Delivering significant reach across both action sports enthusiast and various in-market consumer audiences, GrindMedia also produces more than 40 leading events and webcasts such as Surfer Poll Awards, TransWorld SKATEboarding Awards, Powder Video Awards, Lowers Pro and EnduroCross. GrindMedia is also the exclusive action and adventure sports content provider for Yahoo! Sports. To learn more, visit grindmedia.com.